Anyway, November has come and gone and the blog is silent again. I’m sorry about that. It was a busy month, a month where I actually kind of hardly read books, too. Sometimes all I want to do when I go home is lie down and sleep, especially when my weekends are filled with all-nighters and sleeping at five in the morning when you woke up at six the previous day. I am really getting too old for this. The New York Trilogy by Paul Auster (4/5) – Okay this one just…befuddled me. It’s a good book, but also quite confusing and a lot mind-bending. Haha! I finished it hours before our book discussion, and even after the discussion there were still some parts of the book that aren’t clear. But perhaps it was meant that way. And now we go to December. But wait — can you believe it’s already the last month of the year? Wasn’t it just January yesterday??? 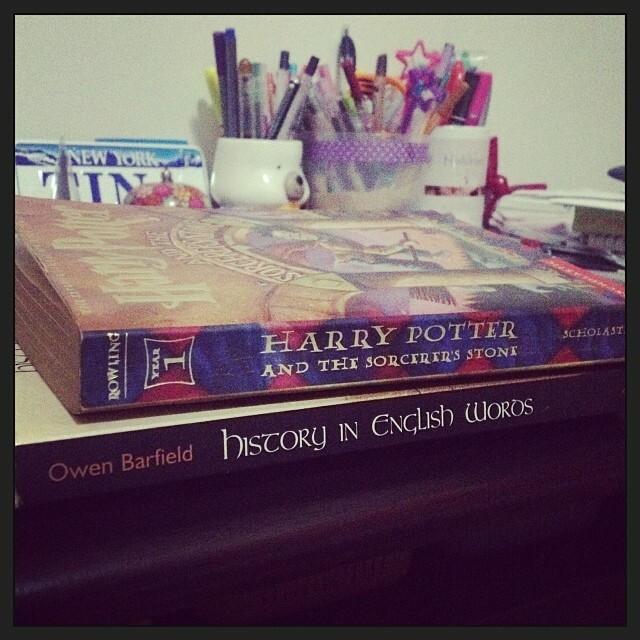 Just two books again this month, even if I am 9 books behind on my reading challenge. December is going to be really busy again, with the new ReaderCon date and the parties and all that. 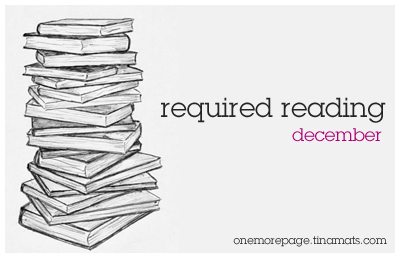 I will still try to reach the 75 books after all the festivities have ended, though. History in English Words by Owen Barfield – Back in June, we gave one of our good friends, JL, favors that he can claim from us for the entire year as a birthday gift. One of the favors I gave him was that I’d read anything he lends me, write notes (and now a review) and we’d discuss it (over coffee and lemon squares, I think). He has come to claim this favor and lent me this book. This isn’t something I would normally read, really, but since it is a favor. I’ve finished Chapter 1 today and it’s interesting, so far. Must not forget to write notes.